SSAB has received approval from the European Commission to sell Tibnor Oy, Finland to Ovako AB. This transaction is part of the divestment remedies that the European Commission deemed necessary for the combination of Rautaruukki with SSAB. The transaction is still subject to the approval of national competition authorities. This transaction has only a limited impact on SSAB’s financial results. SSAB has earlier divested Plannja Oy in Finland to Metehe Oy and received EC approval to divest 50% of the shares in Norsk Stål AS to Leif Hübert AS. On July 14, 2014, SSAB received the European Commission’s approval for the combination with Rautaruukki. The approval was conditional on a commitment by SSAB to divest the following assets within what was then its Nordic Steel Distribution system and Finnish construction business: one steel service center in Sweden (Halmstad) and one in Finland (Naantali), Tibnor Oy in Finland (a wholly owned subsidiary of Tibnor AB), the 50% ownership interest in each of Norsk Stål AS and Norsk Stål Tynnplater AS in Norway and Plannja Oy in Finland (a wholly owned subsidiary of Plannja AB). 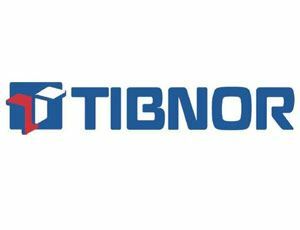 Tibnor Oy purchases, stores, pre-processes and distributes steel and non-ferrous metals to the engineering, processing and construction industries. Tibnor Oy’s net sales in 2013 amounted to around SEK 576 million (EUR 66.6 million). Ongoing remedy divestments will not affect the previously communicated synergy potential or the industrial logic behind the combination of SSAB and Rautaruukki. 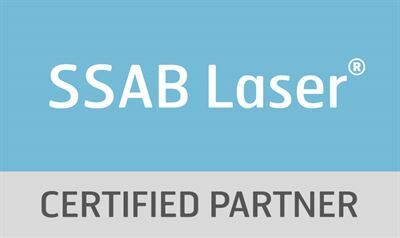 This information is published by SSAB pursuant to the requirements of the Finnish Securities Market Act and the Swedish Securities Market Act. Submitted for publication at 10.00 am CET, February 9, 2015.